Looking for deals in Split? Featuring 4-star accommodations, Hotel Agava Split is set in Split, 2297 feet from Diocletian's Palace and 984 feet from Republic Square - Prokurative. This 4-star hotel offers free WiFi. What is not to like. This place was great! The location is about a 5-7 minute walk from the promenade down a quite little road. The staff was amazing and very accommodating. The room was brand new, everything was nice and comfortable. Hotel Cvita in Split has 4-star accommodations with an outdoor swimming pool, a fitness center and a spa & wellness center. Among the various facilities are a garden and a terrace. Everything is great! The hotel is very new, clean, comfortable, and great location, walking distance to the old town. We also like the breakfast. 656 feet from Diocletian's Palace, Plaza Marchi Old Town is located in Split and features a terrace and a bar. Boasting a 24-hour front desk, this property also provides guests with a restaurant. "Everything. It's such a nice place. Very clean both inside and outside. Very friendly and professional staff"
Boutique Hotel Bačvice is located in Split, a few steps away from Bačvice Beach and a 9-minute walk from the UNESCO-protected Diocletian's Palace. The property has a restaurant and provides free WiFi.... Really nice hotel. Great location near the old part of Split. 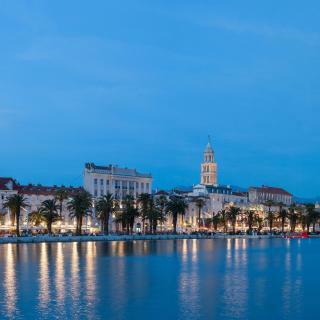 Located in Split, about 1.2 mi from its historic core and the UNESCO-protected Diocletian's Palace, Hotel Ora offers a restaurant, free WiFi and a fitness center. Clean and cozy hotel. Staff is friendly and service is excellent. There is a variety of food offered for breakfast and everything I tasted was delicious. Located in the center of Split, a 5-minute walk from the UNESCO-protected Diocletian's Palace, Aspalathos Residence is a 4-star hotel which provides free WiFi access throughout the property. Very new and stylish inside and in a great location in Split. The staff were very helpful, the decor was cool and we really enjoyed our stay. Radisson Blu Resort is set a few yards from the beach and 1.6 mi from Split's UNESCO-protected Diocletian's Palace. The staff were so helpful. Everything is easy to reach. Always taxis outside the hotel. Opened in July 2017 and offering a spa center, a rooftop outdoor pool, and a restaurant, Marvie Hotel is located in Split, 0.9 mi from Diocletian's Palace and 2133 feet from the nearest beach. The hotel is up-to-date, clean, quiet, and in a very good location. Corner Residence is located in Split, 2461 feet from the UNESCO-listed Palace of Diocletian and the vivid Riva Promenade. Free WiFi access is provided in all areas. Very comfy room. Large bathroom. Parking on site! Very tasty and fresh breakfast. The stylish Hotel Luxe in Split is located 1312 feet from Diocletian's Palace, the ferry port and the Bacvice Beach. The air-conditioned rooms offer free Wi-Fi. So close to the old city center and the harbor. Great water views. Hotel Marmont Heritage - Adults Only is located in the heart of the Old Town of Split, only one minute away from Diocletian’s Palace, a UNESCO World Heritage Site. Location was fantastic. Center of town and walking distance to everything. Hotel Villa Diana is a small family-run hotel situated in the center of Split, near Split's ferry port. Everything was great. Great location. Located a 13-minute walk from Diocletian's Palace, Best location Rooms in Split offers a shared lounge. The 4-star hotel has air-conditioned rooms with a private bathroom and free WiFi. New modern and cozy and have fantastic location. 656 feet from Diocletian's Palace, Plaza Marchi Old Town is located in Split and features a terrace and a bar. Boasting a 24-hour front desk, this property also provides guests with a restaurant. "Everything. It's such a nice place. Very clean both inside and outside. Located in Split City Center, Prima Luce offers air-conditioned rooms, 1148 feet from Diocletian's Palace. The air-conditioned rooms provide free WiFi and are decorated by a renowned Croatian painter.... Amazing rooms matched equally by an incredibly friendly, welcoming and accommodating staff. Featuring a health club and an on-site restaurant, Art Hotel Depandansa is close to the historic center of Split, only 10 minutes on foot from the Diocletian's Palace and other cultural and business... The room was awful for what I paid. Set in Split, Heritage Hotel Cardo enjoys a privileged location within the UNESCO-protected Diocletian's Palace. The Peristyle, St. Great location , great people, excellent attention to detail . Heritage Hotel Antique Split is set within UNESCO-listed Diocletian's Palace in Split. Elegantly furnished interiors are fitted with air conditioning and free WiFi access. Loved this hotel. The attention to detail was amazing. The Palace Judita is a heritage hotel set in a palace dating back to the 16th century and located on the main square of Split, next to the UNESCO-protected Diocletian's Palace. The friendliness and helpfulness of the staff - nothing was too much trouble. 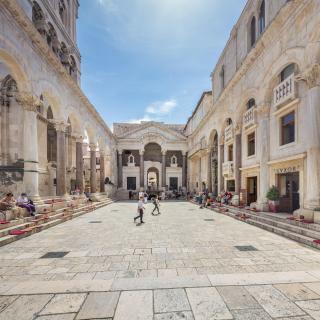 Located in the heart of Split and only 230 feet away from the UNESCO-protected Diocletian's Palace, Piazza Herirtage Hotel provides air-conditioned accommodations with free WiFi access. Amazing room with a view of the squqre. Amazing bed. Amazing location. Beautiful building. Offering a hot tub and hammam, Residence by Vestibul is set in Split in the Split-Dalmatia County Region, 1969 feet from Diocletian's Palace. Gregory of Nin is 1640 feet from the property. Friendly staff and amazing service. Complimentary golf cart ride to and from ferry. Which hotels are the best ones to stay at in Split? Murum Heritage Hotel, Heritage Hotel Antique Split, and Villa Split Heritage Hotel are some of the popular hotels in Split. What are the best hotels in Split near Split Airport? Travelers who stayed in Split near Split Airport (SPU) have said good things about Hotel Manufaktura, Hotel Resnik, and Hotel Adria. Which hotels in Split are good for couples? These hotels in Split are highly rated by couples: Heritage Hotel Cardo, Murum Heritage Hotel, and Villa Split Heritage Hotel. What are the best hotels in Split near Poljud Stadium? Some of the best hotels in Split near Poljud Stadium include Apartment Miaa, Apartment Belavista and Luxury Apartment. Which hotels in Split offer an especially good breakfast? For hotels in Split that serve highly-rated breakfasts, try Murum Heritage Hotel, Hotel Cvita, and Central Square Heritage Hotel. Which hotels in Split have nice views? Heritage Hotel Cardo, Central Square Heritage Hotel, and Hotel Cvita got great room view-related reviews from travelers in Split. The average price per night for a 3-star hotel in Split this weekend is $163 or, for a 4-star hotel, $213. Looking for something even fancier? 5-star hotels in Split for this weekend cost around $438 per night, on average (based on Booking.com prices). How much does it cost to stay in a hotel in Split? On average, 3-star hotels in Split cost $52 per night, and 4-star hotels in Split are $89 per night. If you're looking for something really special, a 5-star hotel in Split can be found for $120 per night, on average (based on Booking.com prices). On average, it costs $74 per night to book a 3-star hotel in Split for tonight. You'll pay around $109 if you choose to stay in a 4-star hotel tonight, while a 5-star hotel in Split will cost around $167, on average (based on Booking.com prices). Which neighborhood is the best one to stay at in Split? Split Old Town, Split City Center, and Marjan are popular with other travelers visiting Split. Which hotels in Split are good for families? Many families visiting Split loved staying at Priska Luxury Rooms, Residence by Vestibul Palace, and Palace Judita Heritage Hotel. Stunning Split stands proudly on the eastern shores of the Adriatic Sea, and due to its great climate is called the Mediterranean Flower. It features eclectic architecture, spectacular views and delicious cuisine. Split is centered around the ancient Roman Palace of the Emperor Diocletian, a magnificent building constructed at the beginning of the 4th century AD and featuring limestone and marble towers, columns and courtyards. It lies in a bay decorated with white sails of yachts, as sailing is definitely Split’s big thing! The city is full of architectural gems, one of which is St. Duje’s Cathedral, the oldest cathedral in the world, built in 305 AD and combining both Roman and Catholic influences. Nearby Varoš is a must-see, one of the city’s oldest parts, full of charming streets and beautiful houses. Make sure you visit the Bačvice Beach and the Riva promenade, popular with locals and full of cafés and palm trees. 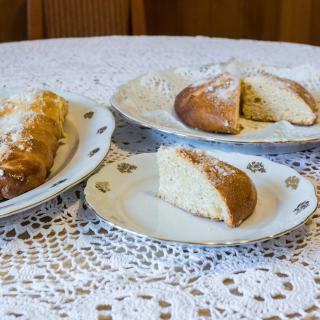 While on the hunt for local specialities, try soparnik - wood fired dough filled with vegetables - or local soft drinks Pipi and Orela. So just pack your bags and head to Split Airport! 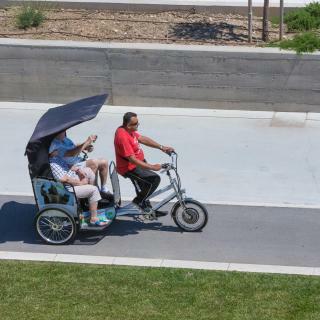 Booking.com has plenty of sunny apartments, friendly guest houses and well-equipped hotels for your Split adventure. I went in tourist off season which was nice, there were still plenty of visitors from cruise ships but nothing was outrageously busy. however, it did impede on the amount of ferries to Hvar (which I'm told is absolutely gorgeous) daily. I made up for it with a beautiful cruise around ground Split coast. If I had more time I would have embarked on some of the outdoors trips for white water rafting, kayaking, or hiking. Split isn't a large city but it has a lot of personality, delicious food, and they literally live in history. I loved the Old Town of Split. I loved the Old Town of Split. We stayed in the Palace in the old town center which was perfect. The history in Split is amazing to hear about and to see. The buildings are well preserved there, which makes visiting the area so interesting. Well worth a visit. We spent an afternoon walking around Old Town, and were ready to go. The rest of Croatia is so gorgeous, Split is someplace I could have easily skipped. We did have some fabulous food, and the best pastry of the trip there. Old town was beautiful to walk around and Diocletian's Palace was very cool to explore. 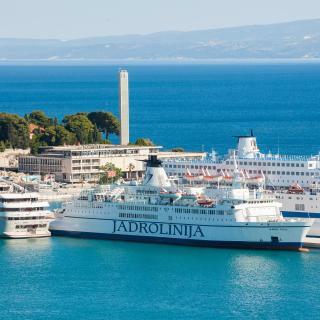 I think Split would be best to visit between April and October when the boats are running to explore other islands, without that it's a half a day city. We loved the city of Split. We loved the city of Split. It was full of interesting venues, restaurants, and activities. We especially loved Sunday watching all the families with small children enjoying the Promenade and birds! We ate at Zoi one evening and had the perfect dining experience with a lot of attention to details and a great view of the harbor. The Fish Market and Green Market was an exceptional treat. Wish we would have had an opportunity to cook! The location is great. The train station, port, beaches, and city centre are reachable within less than 10 minutes. The room is nice decorated, modern, comfy bed, and very clean. 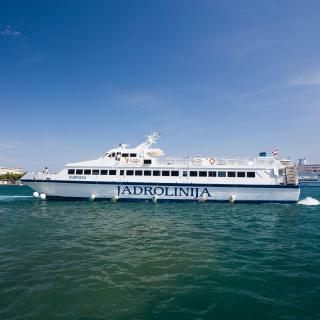 Our ship from Italy arrive at 7 am in Split harbour and as we arrive in the hotel, they provide us early check-in and offer breakfast. The staffs hospitality make us feel very comfortable. They also provides various and good breakfast. Really love this hotel and we definitely recommend this hotel! We booked one night in Split before our flight the next day. In our short stay Goran our host made contact with us to arrange an easy arrival. Offered help to carry our luggage and arrange for our transport to the airport the next day. He was willing to share visitor tips on the town, but we felt we knew it as this is were our wonderful Croatia adventure began 3 weeks before. Apartment was beautiful, comfortable and everything the pictures showed! Great experience! It’s a really nice apartment, perfect location near the old town, very clean and comfy! It has all you need!! Tony was waiting for us to show us the location and the apartment! He answered to all our questions, he was replying to our messages! The day of our departure our flight got cancelled and he helped us find a place to stay! Much appreciated for all the help! Very recommend, his apartment in Split-Croatia!!! Rooms in a house in lovely old part of Split. We had an outdoor seating area and it was nice to be close to the city centre but in a peaceful location. Could hear other guests moving around, so keep earplugs at hand. Price quite high for a basic room, compared to other places we stayed in Croatia, but I think this is because Split is so popular. No staff on site but could easily contact them by phone/ text. The Apartment was excellent. Modern in style and spacious. The location was excellent to the old town and handy to amenities. Ivana has proven to be the friendliest person we have met while in Croatia. As the land lady of the apartment she went above and beyond our expectations. A simply wonderful lady. We hope to visit Split in the future and stay with Ivana once more. The property is lovely and clean inside, the host is the nicest person we've met in Croatia, he will go out of his way to help you. He gave us a lot of great and useful information and provided a free shuttle. He even gave us a small gift on departure. The apartment is a short 10-15min walk to the old town. There is a supermarket right outside. Great location. Blansa is a very friendly, generous host with a lovely apartment! The place is spacious and very well situated in the Old City of Split. Bed was comfortable and the little balcony is a fun extra, with a very unique view of the city. Blansa left juice, some Croatian liquor and cookies as well, which was a nice touch. Would highly recommend staying here! The centralized location, accommodations, and friendly staff were more than I could ever ask for as a traveller and guest at OTH. It's a place where you can forget about where you come from because you So readily feel at home, always surrounded by your friends. I know that when I go back to Croatia, I will definitely find myself at Old Town Hostel. It is a good location because it is close to the old town, harbour and bus to the airport. Although the road was busy the double glazing cut out the noise, except when Croatia beat Russia to go to the World Cup final. The owner was very helpful and friendly. The room was modern and although compact had everything to make a short stay comfortable. Modern, clean, and characterful property with beautiful Croatian charm. Peaceful location, approx 10min walk to the old town. Ines was amazing and so very helpful and informative of the area and restaurants etc-made us feel so very welcome and looked after when we needed it. Would thoroughly recommend! We loved our stay here! The room was very modern and clean. The staff were extremely friendly and helpful with everything. Our favourite feature of the room was that it had Netflix on the tv! We would definitely stay here again, it was the best place we stayed at in Croatia! Property had a great location, in short walking distance to old town and Marina. Free parking on the street. Lovely, helpful host. Flat was well equipped and just the right size for couple with two young children. We had a great first trip into Croatia. Thank you Toni. Absolutely beautiful apartment, with everything you need. Perfectly placed in Split - 5 minute walk from the centre but in a quite residential location in the old town. Definitely one of the best apartments we stayed in all of Croatia. Very modern, spacious and charming, with a restaurant and a boutique. Very convenient location, close to the Old Town city centre and the port. Lovely, friendly and very helpful hosts! The lady is so great and she even provided us a bottle of wine and a few beers. The apartment is spacious and clean. Fabulous!!! The best place during our entire week in Croatia. Hosts are very kind and helpful! The apartment is pretty good and the balcony awesome to relax and enjoy Croatia nice weather! Thanks Toni for Everything! 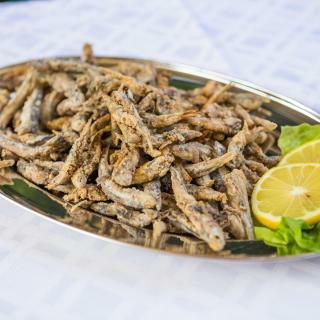 Best Croatian experience. Thank you. Best breakfast you an have with beautiful view.